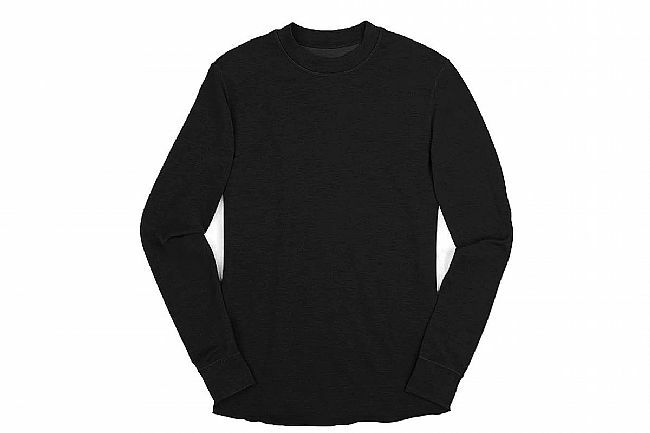 Chrome’s Men's Wool Crewneck Long Sleeve Shirt is a baselayer built from Merino wool, bamboo rayon, and nylon for a super comfy, moisture-wicking single or under layer that dries quickly and doesn't hold odor; perfect for camping and commuting. Super soft Merino wool, bamboo rayon, nylon fabric blend. Nice warm, comfortable base layer. I have been riding in 10 to 20 degree weather and this has been a great base layer. Very comfortable. I wear two layers over it for comfortable winter biking.